FAMILY TRADITION- "HO! HO! HO!- Merry Christmas. I have been practicing my voice all day. 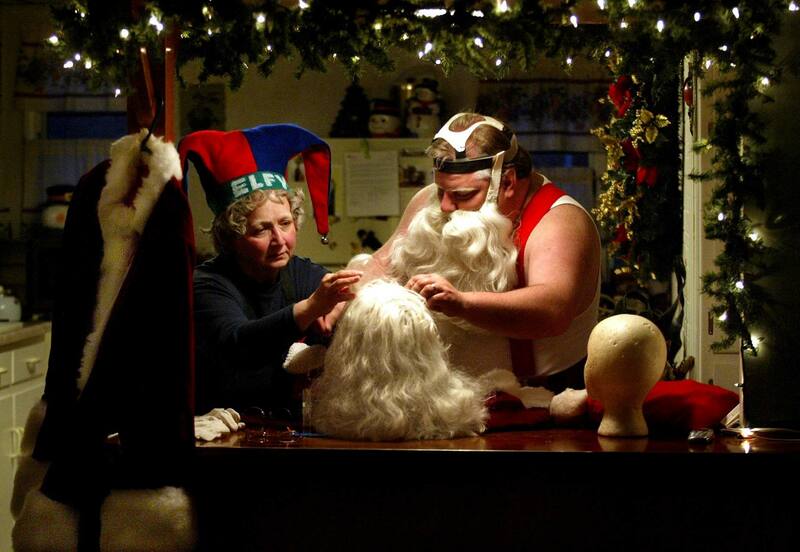 I am ready to become Santa,"said an eager Scott Cox, resident of Paris, Illinois, who readies himself as Mr. Claus with a little help from "Elfy" Kerin Lewis of Paris for the Christmas on the Square. For 23 years, Scott's father-in-law, Bradley "Santa" Brown was the town's Santa Claus. This is the first year Cox carried on the family tradition wearing the same Santa suit.